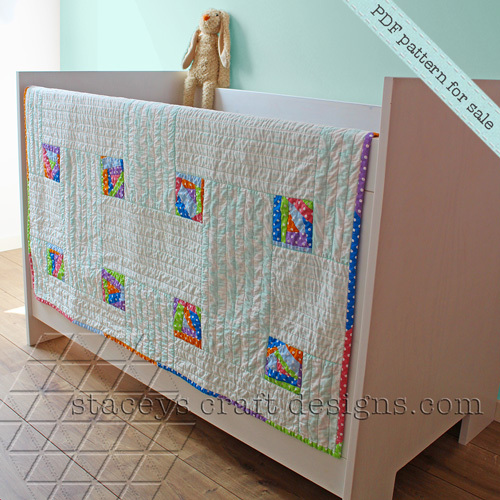 This quilt turned out to be such a lovely present for a little baby girl. 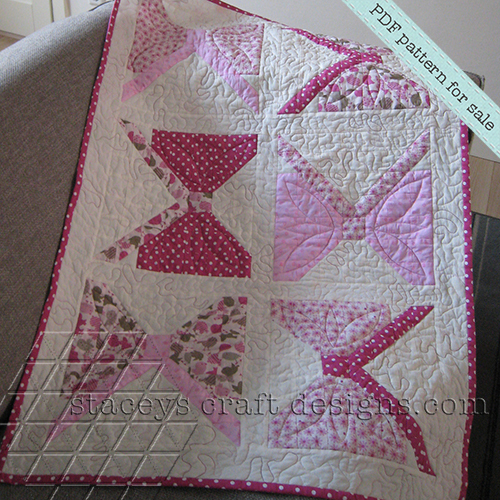 I used only pink colours for the bows to create a full on girls quilt. 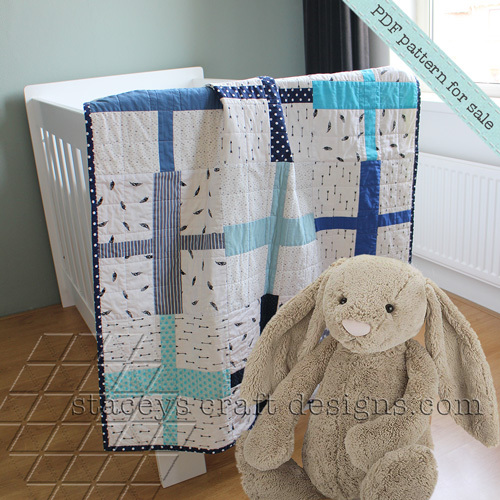 This lovely girlie Bows Quilt instructions contains 3 quilts sizes and 3 colour suggestions. 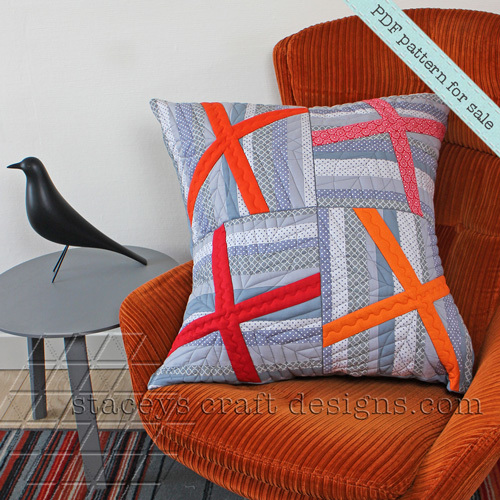 Including an impression for a Bows Quilt in multiple colours. 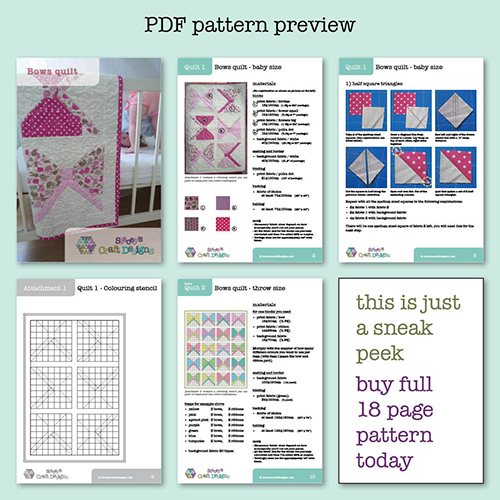 The instructions include quilt 1, the pink baby sized one you see on the pictures. 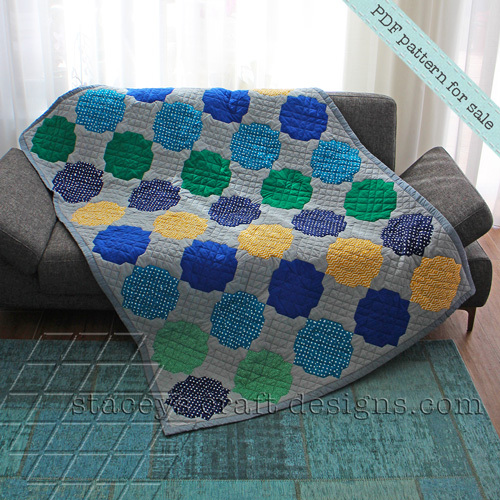 In the second part you will find 2 bonus quilts. One in a throw size and the other in a square size. You can also find colouring stencils for all the quilt designs to create your own colour combinations.